ESCAPING FROM HOUDINI Fall Tour! the ESCAPING FROM HOUDINI fall tour is here! i’m thrilled to be stopping at familiar (and beloved!) bookstores and visiting some new ones this year. special guests will be announced along with more dates and cities in the weeks leading up to publication day. as always, readers who cannot make it out to an event (or those of you who don’t live within traveling distance) can preorder signed/personalized copies from any of the stores i’m visiting. to make it extra fun, i’m bringing tarot cards (and some special playing cards that haven’t yet been revealed!!!) to each tour stop. also! anyone who preorders a signed book through these stores will have a mystery card stuck inside it! Reminder for US readers—be sure to take a screenshot of your preorder receipts and fill out the form on JIMMY Books’ site to receive your eight custom tarot character cards. The offer is only valid until 9/17/18 at 11:59pm ET. some of you may recall the teasers i posted this spring featuring those signature sheets with the gorgeous borders. here are some locations where you can snag them while supplies last! ***please note: these copies will be available IN STORE only beginning on publication day. 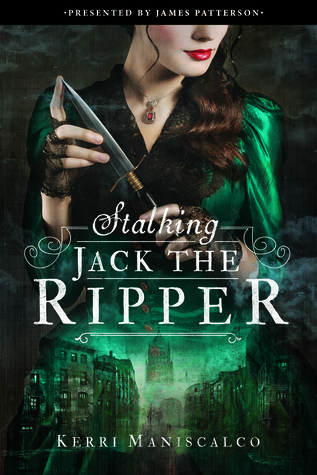 Posted on August 8, 2018 August 7, 2018 by Kerri Maniscalco	This entry was posted in Big News, ESCAPING FROM HOUDINI, For Readers, Happy Things, Jimmy Patterson Books, Little Brown, Release Day, STALKING JACK THE RIPPER, Ya, ya books, Young Adult Novels and tagged Audrey Rose Wadsworth, author tour, Authors, ESCAPING FROM HOUDINI, Escaping from houdini tour, Jimmy Patterson Books, Kerri Maniscalco, Signed Escaping from houdini, STALKING JACK THE RIPPER, Thomas Cresswell, YA, YA Books, ya mystery, YA Novels, YA Thriller. Bookmark the permalink. ← INTERNATIONAL PREORDER PRIZES FOR ESCAPING FROM HOUDINI ARE HERE! I was just wondering if the book stores that are listed at the end are ones that you will be visiting but that do not have dates yet. Thank you!